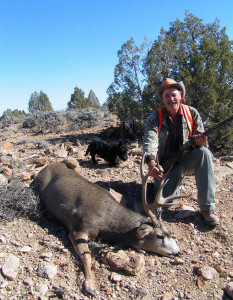 SOUTHERN UTAH — Whether you’re hunting for pheasants, salmon or deer, we have your updates and information here. Below you will find information about a youth pheasant and quail hunt, a change in 2016 for when you can and cannot take salmon, and preparation and hunting reports for deer and bucks. 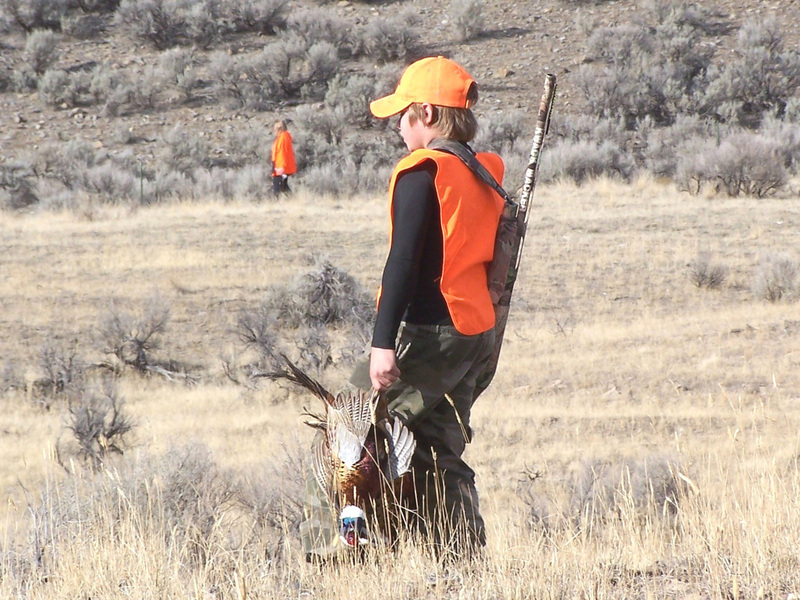 Young hunters get first crack at pheasants this year during an annual youth pheasant and quail hunt Oct. 10-12 for those 17 years of age or younger. Pheasants will be released before Oct. 10 for those 17 years of age or younger. To increase the chance young hunters take a bird, Division of Wildlife Resources biologists will release more than 850 rooster pheasants before the hunt. All of the birds will be released on state wildlife management areas and walk-in access areas. 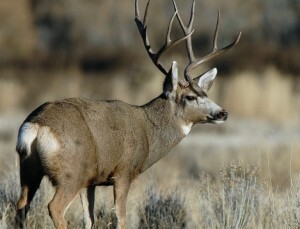 More information is on the Utah Division of Wildlife Resources website. In addition to the pheasant releases, 40 young hunters in Southeastern Utah will have a chance to participate in special guided pheasant hunts. The hunts, which feature volunteer hunting guides and trained bird dogs, are free. You can learn more about the hunts, and submit your name to participate through the Utah Division of Wildlife Resources website. 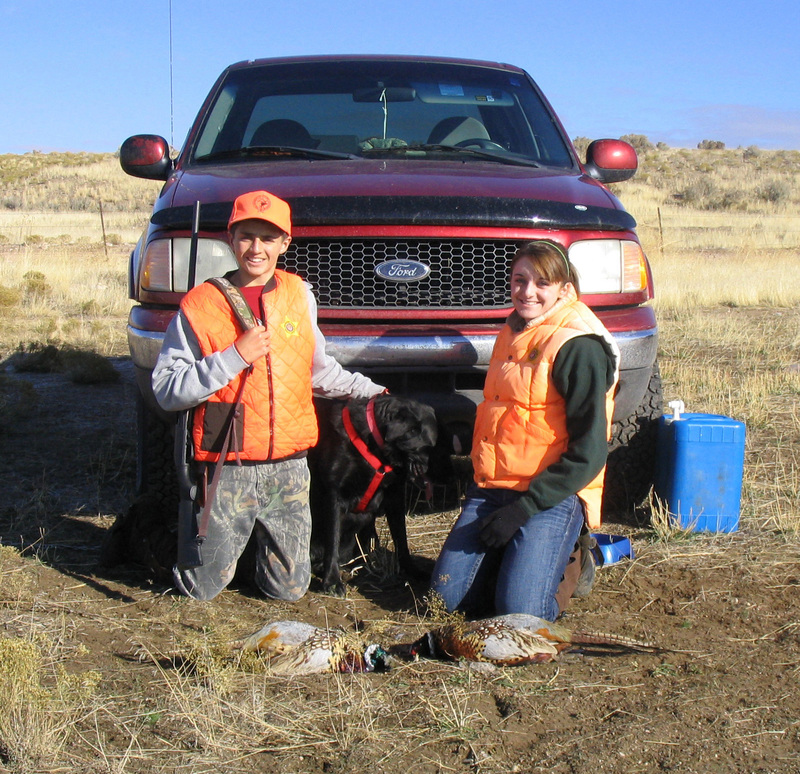 To participate, hunters must graduate from the Utah’s Hunter Education program, have a hunting license and follow all of the state’s upland game hunting rules. More information can be found here. After Oct. 12, the pheasant and quail hunt will close. The hunt will reopen for hunters of all ages Nov. 7. Jason Robinson, upland game coordinator for the DWR, said the state’s walk-in access areas are great places to consider. Walk-in access areas are private property that’s open to public hunters and anglers through agreements the landowners have made with the DWR. Robinson said many of the walk-in access, also referred to as WIA, properties have pheasants and quail on them. “If you’re looking for a place to hunt, the Walk-In Access areas are the first places I’d try,” Robinson said. More information about the WIA areas, including which ones have pheasants and quail, is available online. The DWR manages several wildlife management areas and waterfowl management areas, also called WMAs, across Utah. All of these areas are open to the public. More information about the WMAs is available in the “Access to Wildlife Lands in Utah” book. The free book is available online. Once you arrive at the website, type “Access to Wildlife Lands in Utah” into the search bar. In addition to the WMAs and WIA areas, another option is getting written permission from a private landowner to hunt on his or her property. A permission card you can print off and take to the landowner is available online. Robinson encouraged the public to be polite and understanding if a landowner doesn’t give you access. 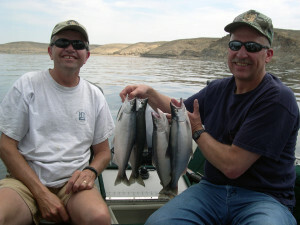 If you enjoy fishing for kokanee salmon in Utah, a change in 2016 will make it easier to know when you can and can’t keep salmon, no matter which water you’re fishing in the state. 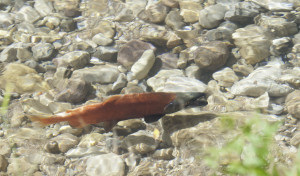 The change will also protect salmon that spawn early in the fall and those that spawn later. The Utah Wildlife Board approved the change when it approved the 2016 Utah Fishing Guidebook on Oct. 1. The free guidebook, which contains all of the fishing rules for Utah for 2016, should be available online by late November. All of the rules in the guidebook go into effect on Jan. 1. Starting in 2016, you can’t keep any kokanee salmon in Utah from Sept. 10 through Nov. 30. This closure will be in effect at all of the salmon waters in the state. Starting Dec. 1, you can keep kokanee up to the legal limit. In addition to protecting the fish, having the closure happen at the same time, on all of Utah’s kokanee waters, will make it easier to know when the closure period is, no matter which water you’re fishing. If conditions don’t change, finding water will be critical to finding deer when Utah’s most popular hunt — the general rifle buck deer hunt— starts Oct. 17. Wet conditions this summer spread deer out during the archery hunt. But since then, conditions have changed — much of the state has dried out. The drier conditions mean less water and less food for the deer. Unless conditions change, deer will be concentrated in areas that have both. 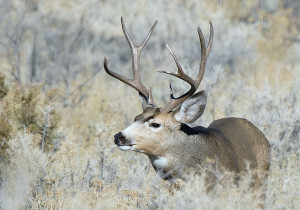 There are plenty of bucks, including mature bucks, on general season hunting units in south-central and southwestern Utah. The key to finding those bucks is finding water sources. And many of those sources will be higher in elevation than rifle hunters are used to seeing. If water sources at lower elevations dry up, that could change the daily patterns and movement of deer. ”Unless we get rain or snow between now and mid-October, the deer will probably be at higher elevations and close to perennial water sources,” Griffin said. Despite the past few hot, dry months, bucks are plentiful. Weather conditions in south-central and southwestern Utah have been prime for mule deer over the past few years. Good fawn production coupled with mild winters have allowed the number of deer to grow. Kirk Smith, hunter education coordinator for DWR said there is much more to deer hunting than taking a deer. “Being in the mountains with your family and friends, enjoying the beautiful fall scenery and seeing the variety of wildlife that live in Utah can make any deer hunt a memorable experience,” Smith said. Be familiar with the area you’re going to hunt. If possible, scout the area before the hunt. Put a survival kit together. The kit should include: a small first aid kit, three ways to make a fire (matches, a cigarette lighter, fire starters), energy snack foods, a cord or rope, a compass or Global Positioning System unit, a flashlight, an extra knife, a small pad of paper and a pencil (if you become lost, you can leave information at your last location about yourself and the direction you’re traveling). Be as familiar as possible with your firearm. Know how to load and unload it, and where the safety is and how to operate it. Make sure the barrel of your firearm doesn’t have any obstructions in it. Make sure you have the correct ammunition for your firearm. Visit a shooting range, and sight in your firearm. When you sight in your firearm, make sure you use the same ammunition you’ll use during the hunt. A list of shooting ranges in Utah is available online. Never carry a loaded firearm in your vehicle. Treat every firearm like it’s loaded. Always control the muzzle of your firearm. Never let the muzzle point at anything you don’t intend to shoot. And make sure you don’t accidentally point the muzzle at yourself. Keep your finger off the trigger until your sights are on the target. Be sure of your target and what’s beyond it. Make sure your vehicle is in good mechanical condition. Carry a shovel, an ax, tire chains, jumper cables and a tow chain in your vehicle. If you experience mechanical problems with your vehicle or you get snowed in, stay with your vehicle—don’t leave it. Before leaving on your trip, let someone know where you’re going and when you expect to return. While in the field, never hunt alone. Wear proper safety clothing: 400 square inches of hunter orange on your back, chest and head. When field dressing your animal, use a sharp knife. A sharp knife cuts better than a dull knife and is safer to use. Cut away from you. Never bring a knife blade towards you while cutting. Your physical well-being is important to acknowledge and do not exceed. Prepare yourself for weather changes by dressing in layers. Dressing in layers allows you to regulate your body temperature by adding or removing clothes as needed. Drink plenty of water, no matter how cold it is. Hypothermia can occur in temperatures as warm as 50 degrees. Be aware of the signs of hypothermia. Some of the first signs are violent shivering, stumbling or becoming disoriented. If you’re hunting in cold weather, watch for signs that you’re getting frostbite. White spots on your skin are the first sign. Check your face, feet and hands regularly. You’ll notice the first signs of frostbite on your face sooner if you’re hunting with a companion who can alert you. If you get lost, don’t panic. Sit down and build a fire, even if it isn’t cold. Having a warm fire to sit by has a soothing effect. “Building a fire will help you relax and think clearly,” Smith said. After calming down, try to get your bearings and think your way out of the situation. If you think you know the direction you need to travel, get the pad of paper and pencil out of your survival kit and leave a note at your location. Indicate on the note who you are and the direction you’re traveling. If you find other hunters, don’t be embarrassed to ask them for help and directions. If you don’t know which direction you should travel, stay at your camp. If possible, build a shelter several hours before sundown. Build a smoky fire (this type of fire can be spotted from the air) or build three fires (a distress signal that can also be spotted from the air). Remaining at your camp is usually a good option. Alcohol and firearms don’t mix! Do not handle a firearm if you’ve been drinking alcohol. Do not give alcohol to someone who’s cold. Instead of warming the person, alcohol will actually make them colder.